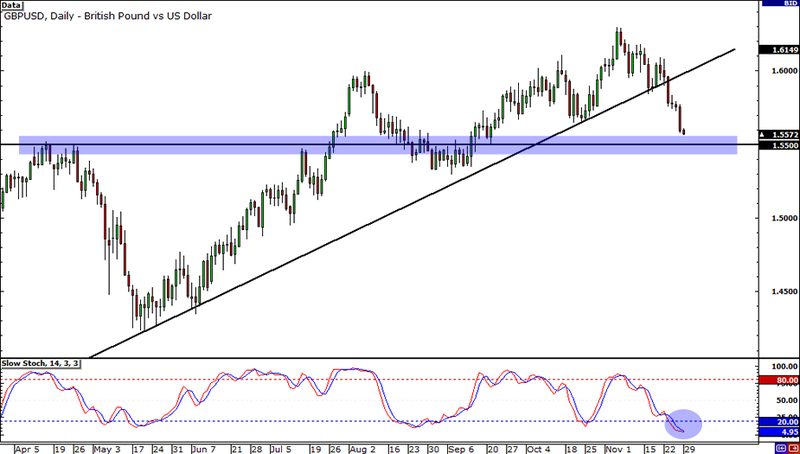 Is that a head and shoulders pattern I see on the daily chart of AUD/USD? Siiiiizlin’ yo! To make this trade even better for bears are the last two candlesticks that formed: a long-legged and a bearish marubozu. Well, if the selling pressure continues, there’s a good chance that the pair could end up at major support at .9634. 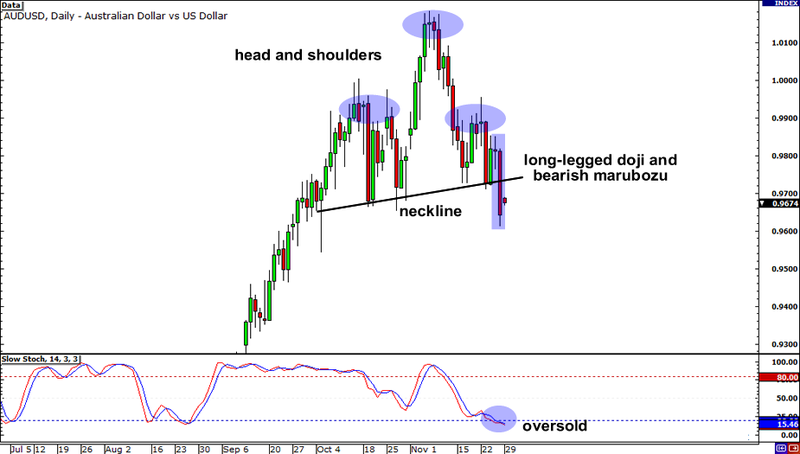 But don’t be too hasty in betting your pips on the dollar just yet as Stochastics is indicating that the pair is already oversold. Who knows, bulls may just be revving up for another rally to push the pair back up to the .9900 handle! Up next, I’ve got Cable for ya’ll! There are a lot of things happening on its chart, so let’s break me break it down for you one by one! The first thing that we see is that the rising trend line that extends all the way from May has finally been breached last week. Rising trend lines usually indicate that the trend is up, so when it breaks, it could mean also mean that the trend has reversed. But before going short and betting the farm like a madman, take note that the pair could retrace some of its losses first. As you can see from the chart, the Stochastics show that conditions are oversold and the pair is approaching a very significant support level! Be careful bears! And finally, here’s a little bit for triangle action for ya! After rising rapidly early this month, the pair has been lollygagging on a 300-pip range. But check out the descending triangle in the 4-hour chart! 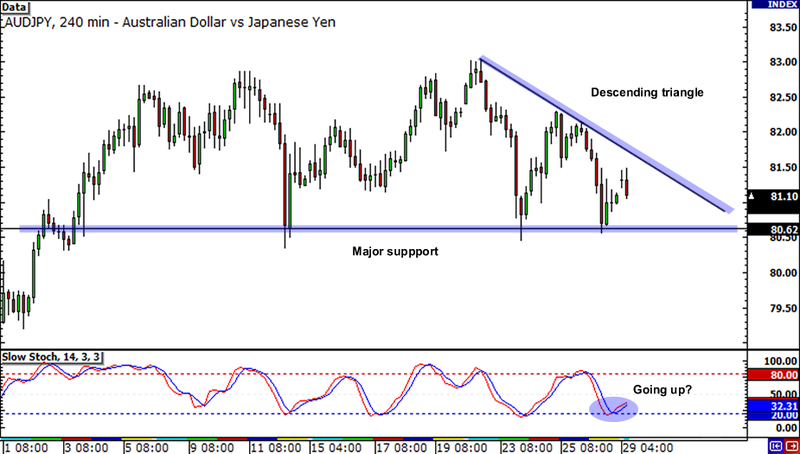 Could AUD/JPY finally break its support at 80.62? Stochastics is currently in the oversold region, which might support the pair for a while, but keep an eye out for any surprises! If candles manage to close below support, then we just might see the bears push the pair all the way to 80.00!